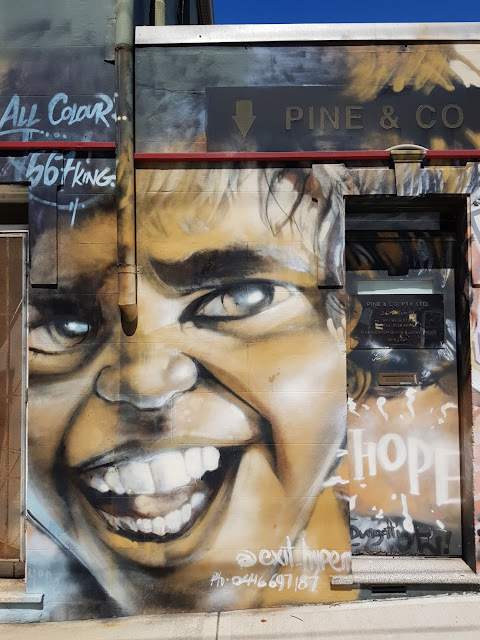 This is part of a mural on the side of a shop at the corner of King Street and Dickson Street, in the inner city suburb of Newtown. Not a mural to be ignored! Very impressive! And good to see he´s happy, hope it stays like this. Eye catching mural for sure Jim! Thanks for contributing. Eye catching indeed. But what is it about? I'm thinking it means there is hope with our youth. It's a very happy looking face. I'm hoping that's a happy face!